Rome, with its classical architecture, prosperous culture, delightful cuisine and warm-hearted people, is the ideal destination for explorers hungry for world culture. Must-take trips in Rome, like Vatican City tours, tours of the Pantheon, Trevi fountain, etc., always manage to paint a magical picture of antiquity. 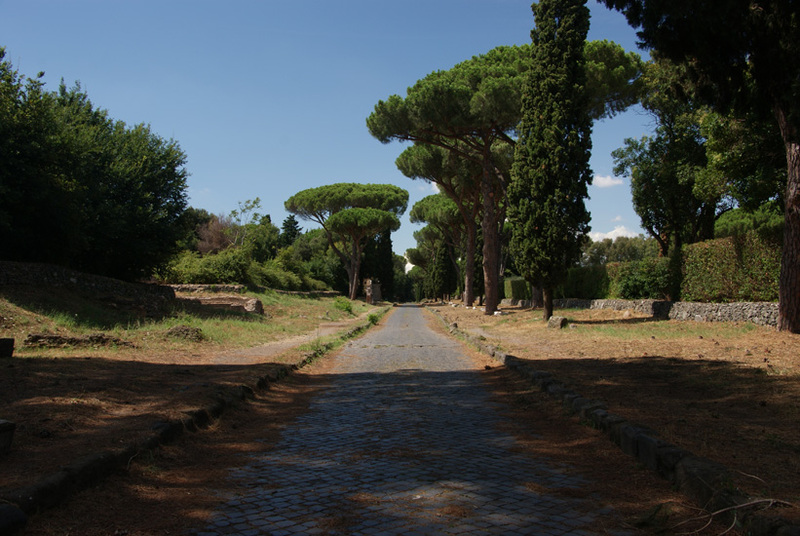 However some tourists, who like to take paths less travelled, who wish to soak up the quaint beauty of hidden places, who want to escape from the crowds and discover a special side of Rome, will be happy to know that Rome has a lot to offer to them. One such green escape from the active streets of Rome is Villa Aldobrandini. 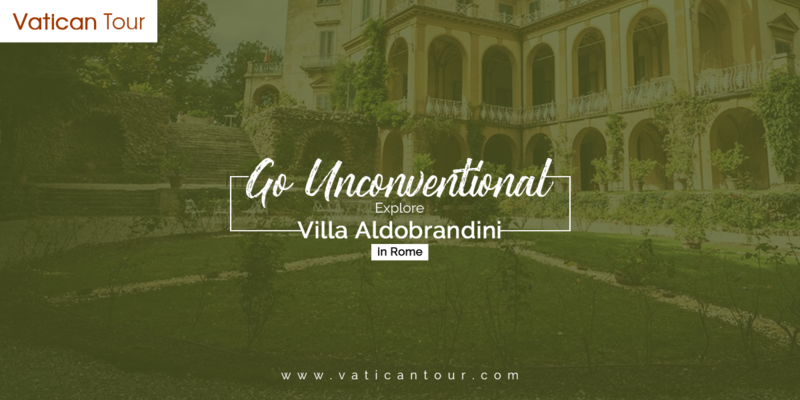 Located atop a historic hill-town on the outskirts of Rome, Villa Aldobrandini stands as the finest example of Rome’s magnificent Baroque architecture. Built in the centre of a picturesque garden, the villa dominates attention. Every inch of this place screams aristocracy and sophistication, and the view from its gardens is simply breathtaking. 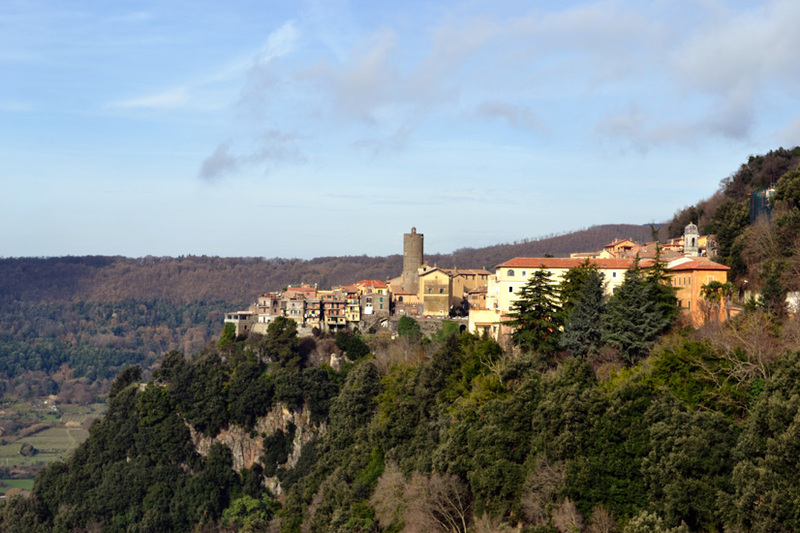 Starting from the town of Frascati that’s situated below, to the dome of St. Peter’s in the distance, one can look down on large stretches of lands from these gardens– after all, the villa was meant to express its dominance over the Roman people below! The villa was gifted by Pope Clement VIII to his nephew Aldobrandini in 1598 for negotiating well with the French, which led to a successful peace treaty, and for his contribution in annexing some provinces of Italy to the State of the Church. The original lands of the villa extended much further than what it is today– the gardens were refashioned in 19th century to make space for Termini Station. The villa has an elevated location which makes it difficult for people to spot it even when they are nearby. But the perks of its elevated construction are serenity and some astonishing views, especially during sunset. When you’re wandering through the mostly empty parks and stone stairways, remember that you’re witnessing only a shadow of their original beauty and how awestruck they left visitors in their heyday. Frascati was the military headquarters during World War II and both Italian and German armies were housed in its many villas, hence the town became a bombing target for enemies. Sadly, the gardens haven’t been restored properly since bombings damaged them. Walking around the meandering gravel paths, you’ll spot orange and pomegranate trees here and there, but they are only remnants of the lovely botanical garden that this place once was. Apart from the tree lined trails, rustic ponds and bridges, there are many stone benches where you can relax and ponder about the richness of Rome. The Water Theatre in the rear grounds is the most striking piece of architecture in the villa. The engineering was very advanced for its time and to operate it, an eight kilometer long aquaduct was constructed. This also helped supply water to other smaller villas and to the town overall. The water theatre traces a high circular curve adorned with fine statues. The statue of Atlas clasping the globe forms the central structure. When this water theatre was functional, guests were entertained with some amazing water tricks accompanied by music and theatrical effects– stone lions roared, centaurs sounded horns and sudden sprays of water soaked the merry guests! There are many offbeat places in Rome that provide a quiet and peaceful experience for tourists. However, they can never replace the experience of seeing the must-visits in Rome. If you wish to have a detailed travel around all the celebrated spots in Rome, but without the crowd and lines, then you must opt for private tours of Rome for families.